I recently read a post about a blogger who was upset that the people who get nominated for all the blogger awards and build careers in this industry were doing nothing special. They were run-of-the-mill types who weren't coming up with anything original and it was all just a popularity contest. I then read a post in response saying that all this person was doing was hating on women who found something they were good at and shouldn't we all support women being successful? Both have a right to their opinion and even to express it on social media. We all have a right to feel how we feel and should be able to discuss said feelings without all the hate and negative backlash that seems to come so often when people post these controversial opinions. I was really amused because being a tiny little beauty blogger in a sea of beauty bloggers who are far more creative and I, myself, not really doing anything original, often hear people ask, what's the point? Well, certainly not to build a career out of it and certainly not for any sort of notoriety. I guess, for me, I've always just loved to write, and I've always loved makeup. When I found there was a whole community of people who were like-minded, why would I not want to join that? Suddenly, the amount of friends who shared my interests increased by, like, hundreds! Who cares if we don't do anything "original?" We all bring something to the table with our different personalities, goals, and lives. I've enjoyed meeting women from all over the world who have different views and lifestyles. Although we all share the common interest of beauty, fashion, food, crafts, etc, we all have things we can learn from each other. I've already been exposed to so many new perspectives and I love that I would have never even known or thought about half the things you guys talk to me about. So I say if you love blogging, if you love the community, if you love writing and creating, who cares about the awards and accolades? Do it because you love it and it makes you happy. If it doesn't? Well, then you're probably in it for the wrong reasons and should find something you do love! Great post my lovely lady! I always love reading your blog and you can feel how much you enjoy writing while you are reading your blog. Who care what you are doing as long as you enjoy it! I hope you have an amazing week gorgeous! Well said Kim!! I have often felt the same way. The whole reason I have a blog is that I love to write too. It takes a lot of moxie to put yourself out there and I always say kudos. I never did understand tearing someone down. Very good post! 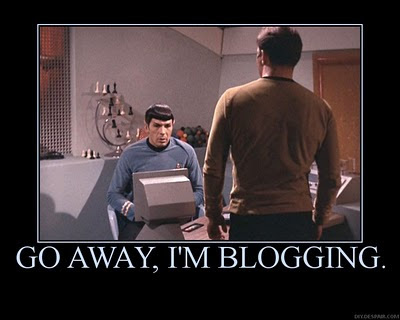 If people start blogging because they believe they can build a career on it they're in for a dissappointment. For most of us it is just a hobby. But as long as we love doing this- Why not?? Well said! Just do what you want to do! Such a beautiful post Kim!!! Everyone is entitled to an opinion, comes down to doing what you love and sharing what's in your heart!! And your heart and soul is beautiful!! Love this! While I do agree that everyone is entitled to their opinion, when people start to bash or tear down others' work it upsets me. I'm not sure if that's what blogger #2 was doing, but I've seen that and those people be so rude about fashion bloggers and it fires me up. Women need to SUPPORT one another, lift one another up...unless you live their life, you don't know what they do on a daily basis. (Sorry I just ranted a bit) The wonderful thing about blogging is that we can all express our feelings, and that is beautiful. I love hearing your thoughts on this, hope your week is going great beautiful friend!